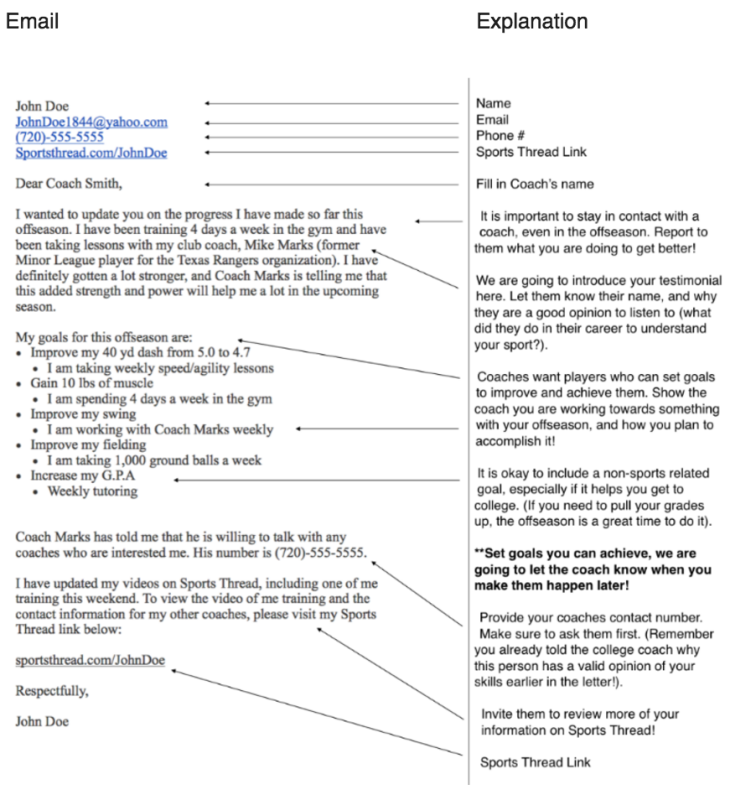 To use this template, copy and paste it into the email to a coach, then replace all (underlined) items with your information and fill in the blanks as well! Do not copy everything word for word, coaches appreciate originality, it will help you stand out! 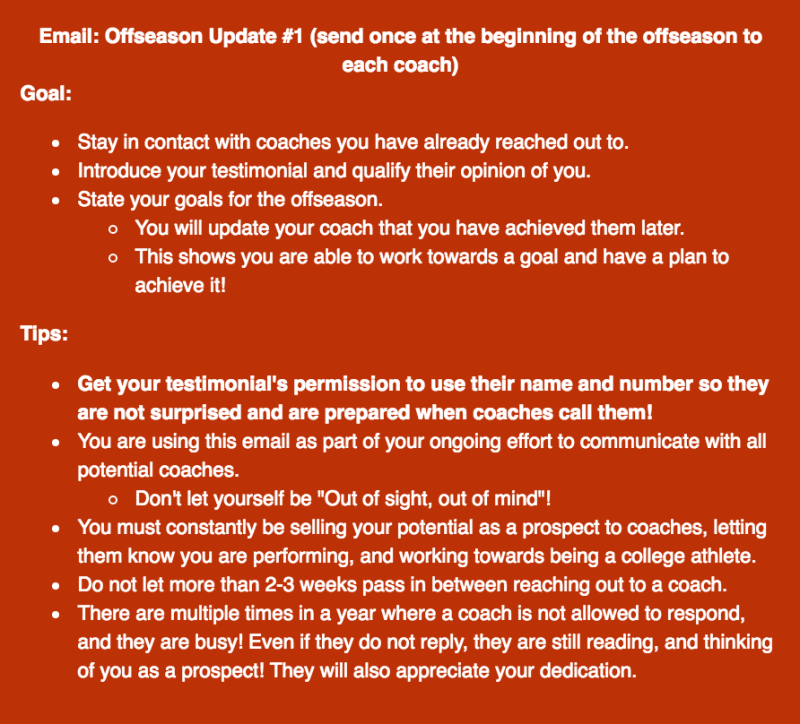 I wanted to update you on the progress I have made so far this offseason. (Summarize what how you have been training to improve). (Introduce your testimonial here___________), (tell them what your testimonial's qualifications are here_________). (Add a personal note here __________________). Coach (_______ ) has told me that ( he/she) is willing to talk with any coaches who are interested me. ( His/Her) number is (______________), ( his/her) email is( _________________).